Julie Hocking’s paintings are inspired by her natural surroundings where she lives on the Mornington Peninsula. Working mainly with oil paint her work is expressive, painterly and textural. She is interested in light, shadows, movement and colour. 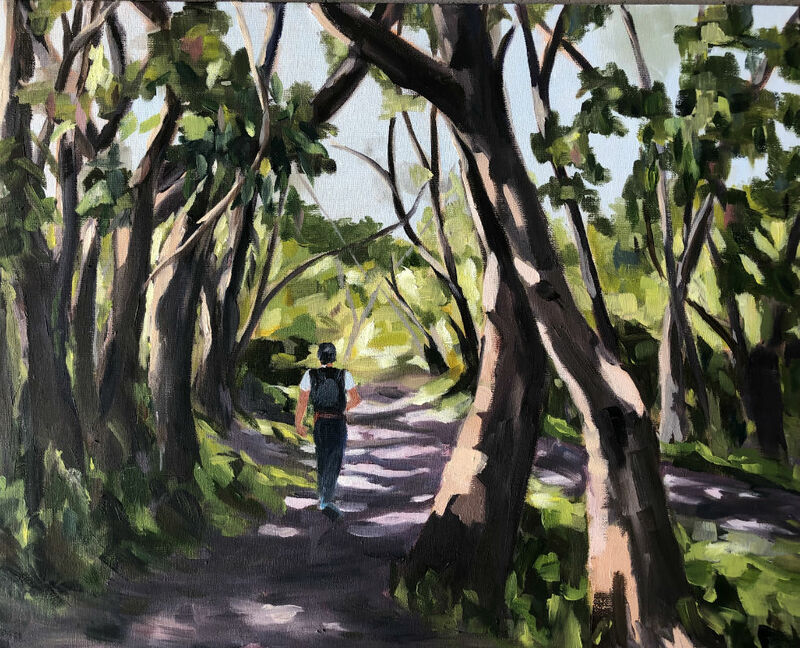 “I try to capture the light and mood of the landscape and especially love painting pathways so as to draw the observer in.